Get Away from the Everyday! 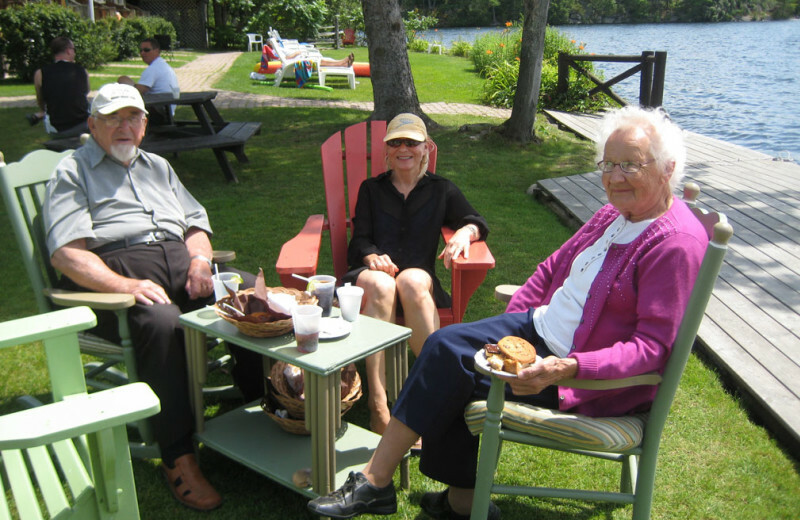 At one of Muskoka's Classic Lakeside Family Resorts. 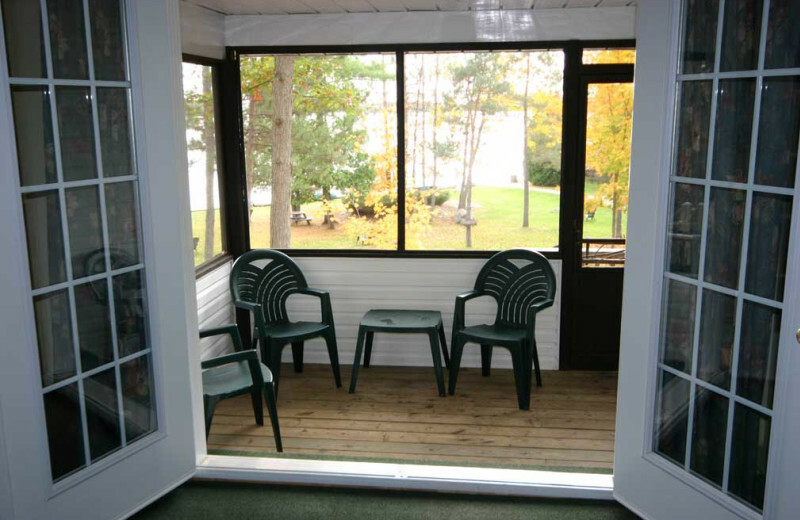 Severn Lodge brings the classic lake getaway to life with friendly hospitality and modern amenities! 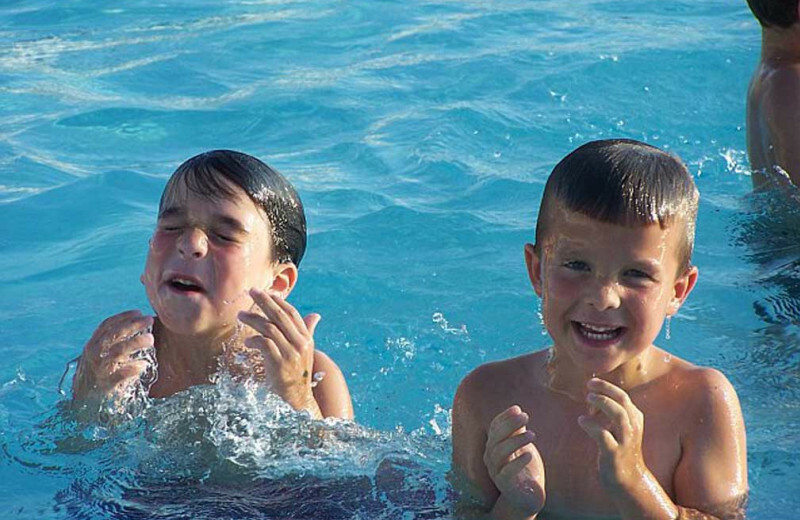 For nearly a century, Severn Lodge has been an ideal destination for fun family trips, relaxing vacations with friends, and romantic getaways, and has been featured in "100 Best Family Resorts in North America" and "What to Do with the Kids This Summer". 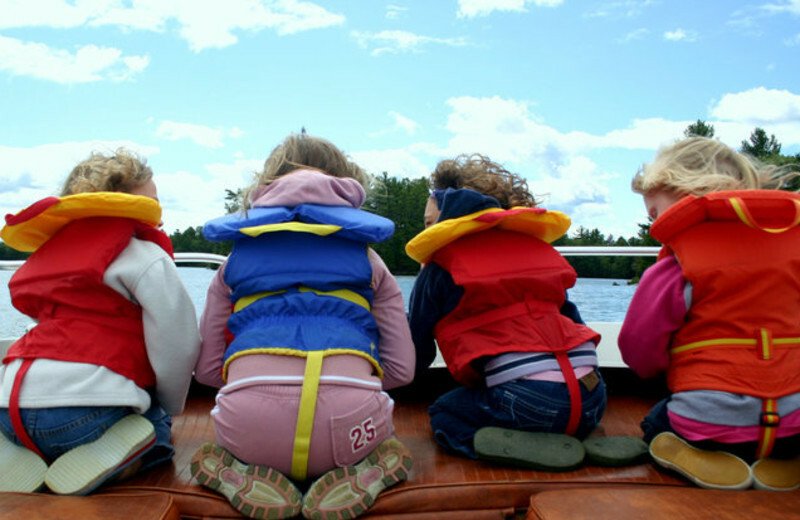 Fully inclusive packages feature deluxe waterfront accommodations, delicious meals, use of recreation facilities, and summertime supervised kids' activities & evening entertainment. There are pedal boats, canoes, kayaks, stand up paddle boards, mountain bikes, tennis, heated pool & hot tub, sandy beach & lake water swimming. 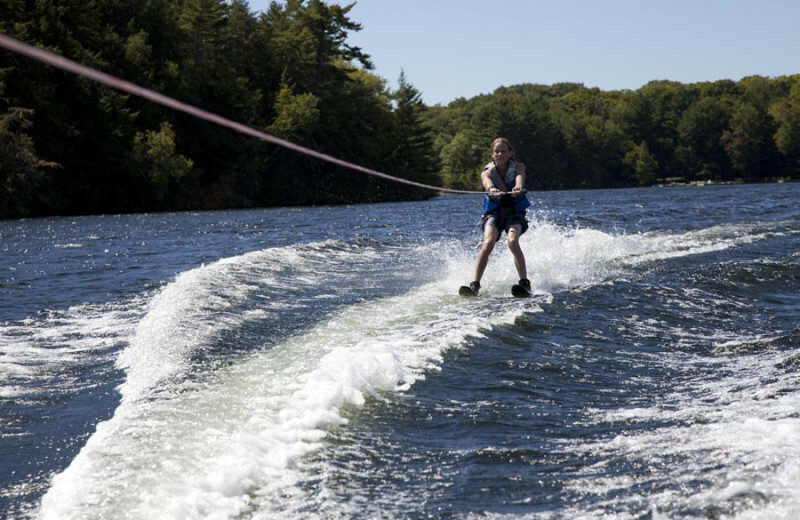 If that's not enough, there's also 100 acres of wooded hiking trails, fishing, outboard boat & jet-ski rentals, boat cruises, golf & horseback riding. There's something to keep you busy at all times at Severn Lodge! 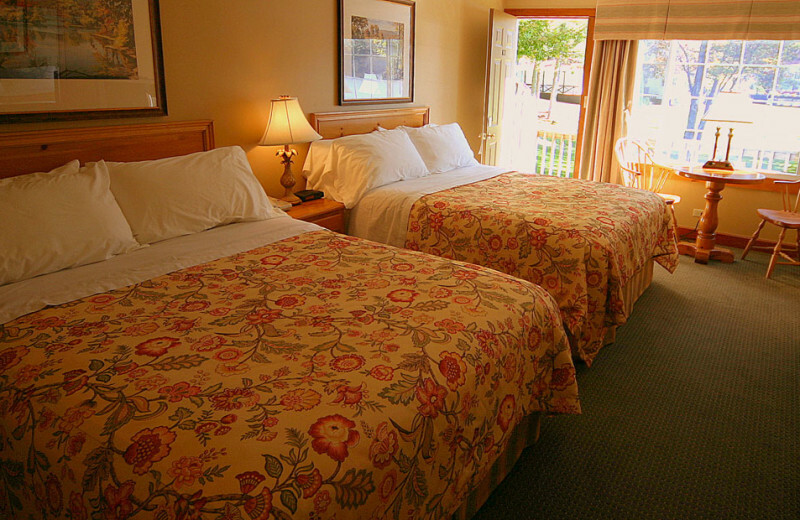 Enjoy deluxe waterfront rooms and suites, delicious meals and use of resort recreation facilities. There's the heated outdoor pool and hot tub for relaxing at the end of the day, or you can rest under the sun on the sandy beach before hopping in the lake for some swimming. If you want to try your hand at some sports, there's tennis, volleyball, basketball, and much more! Beach and water sports are Severn Lodge's specialty! The resort features a heated outdoor pool and a sandy beach. 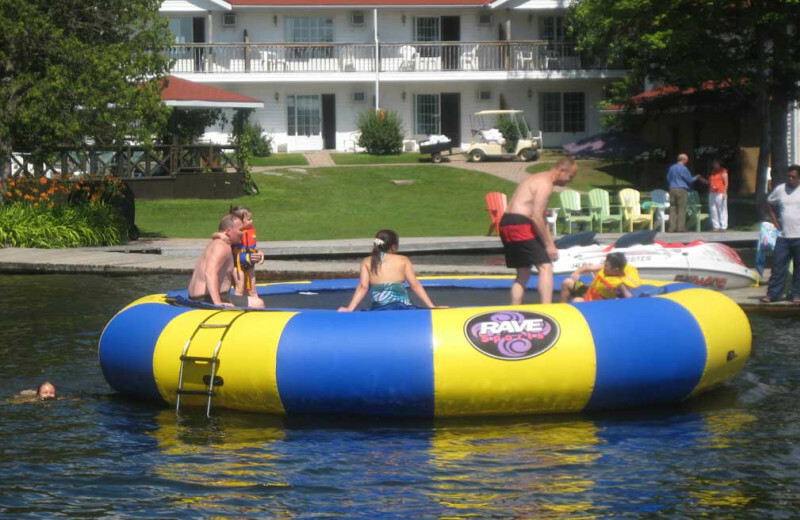 There's great lake swimming and fishing, plus a water trampoline. 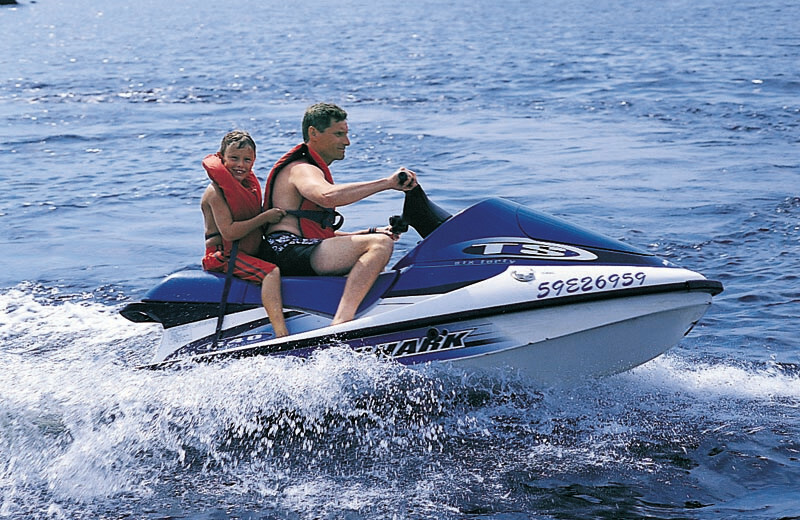 If you want to really get out on the waves, outboard boats and jet skis are available for rentals. This is a beach vacation you're sure to love! 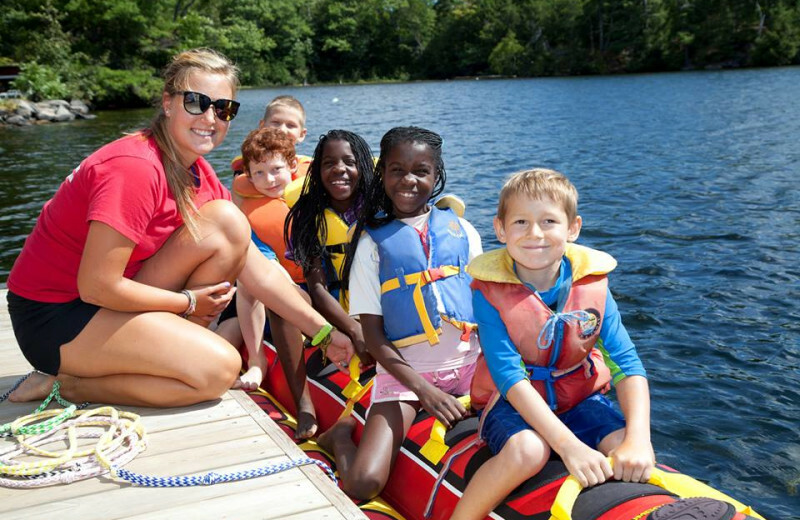 In addition to a host of recreation facilities, summer means supervised kid's programs for various age groups and live evening entertainment. 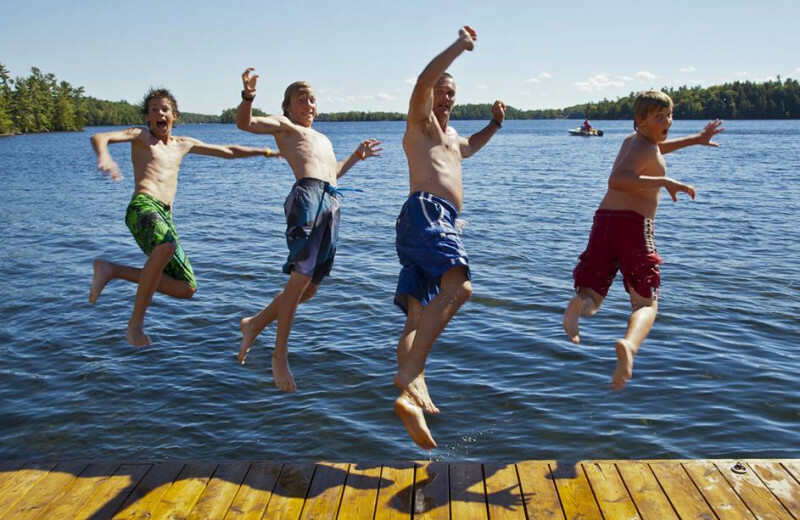 Severn Lodge is featured in "100 Best Family Resorts in North America" and the "What to Do with the Kids This Summer" polls. 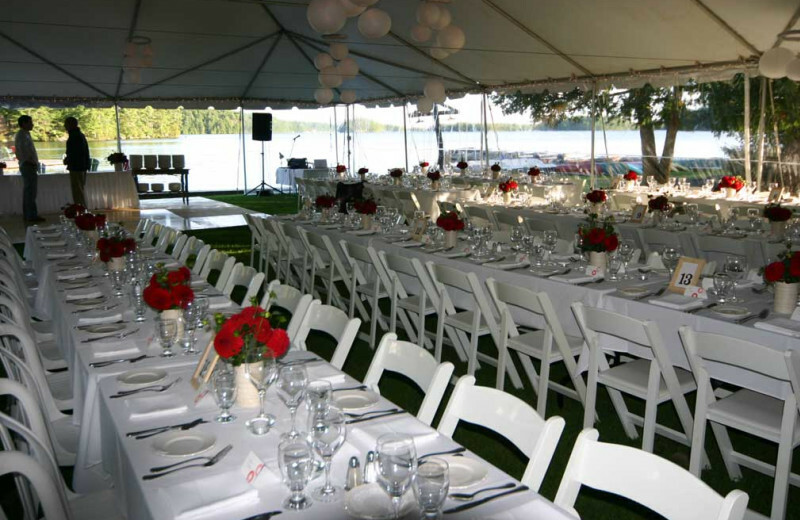 Call about your next Muskoka family reunion today! 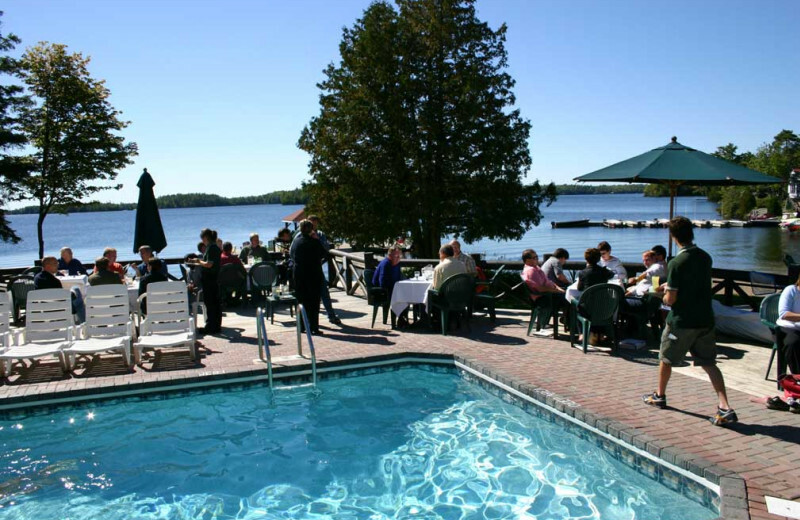 Business travelers will love the relaxing waterfront setting of Severn Lodge. Here, you'll be sure to discover an inspiring atmosphere that will bring out the best work. 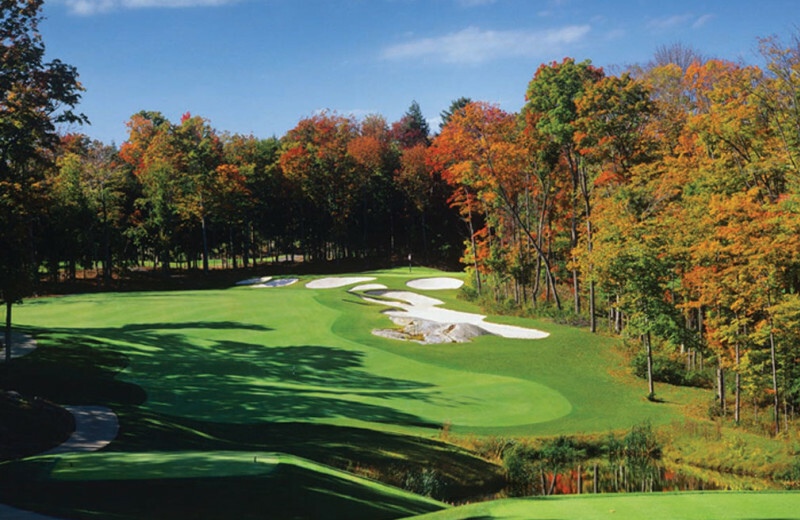 The spectacular views provide the ideal environment for productive meetings only 90 minutes from Toronto and the variety of onsite meeting rooms to choose from allows you find just what you need for your event. Many onsite activities offer great options for team-building exercises, too! 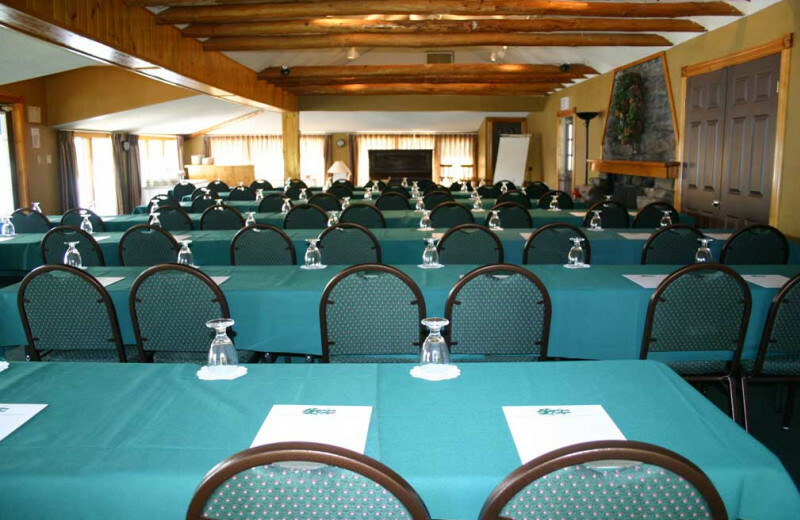 Make Severn Lodge the venue for your next family reunion. 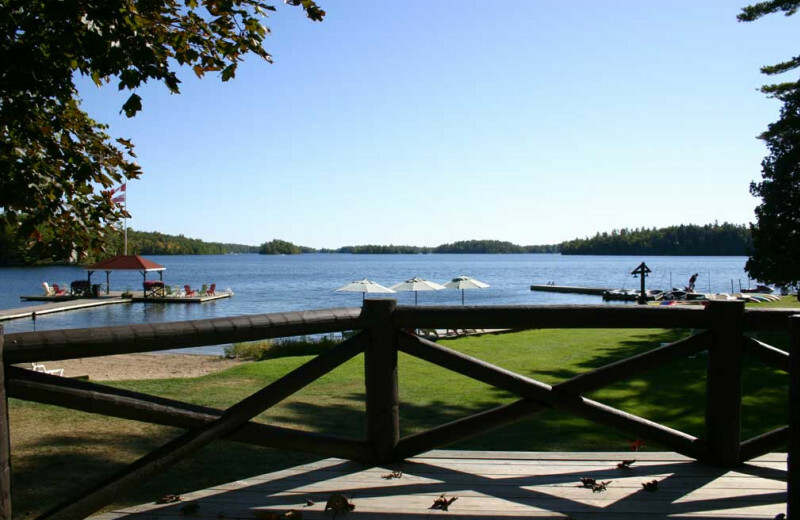 With a sandy beach, outdoor swimming pool and the Lakeside Recreation Building, you will not run out of activities to keep you busy. 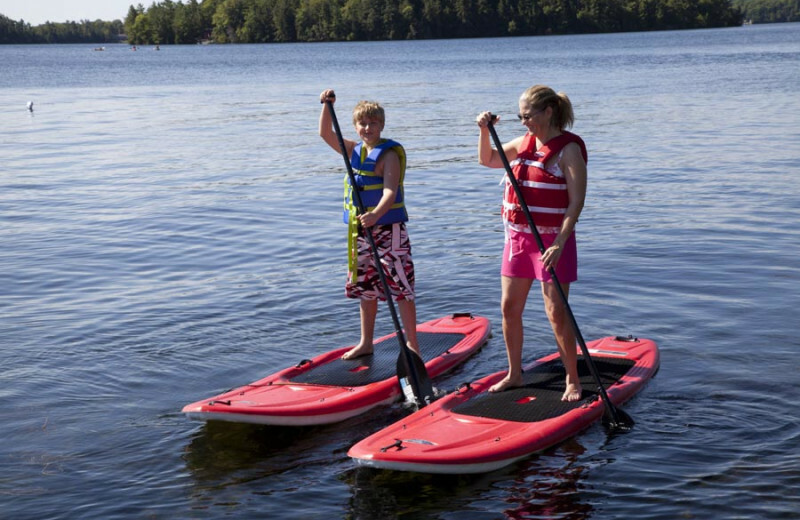 Canoes, paddleboats and kayaks are available for complimentary use, or rent a boat or jet ski for an additional charge. 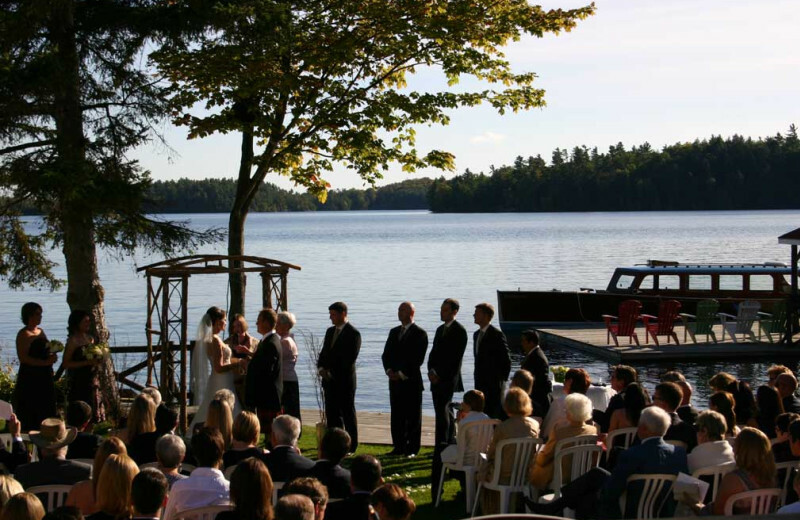 As one of Ontario's premier lakeside resorts, Severn Lodge has been hosting memorable and romantic weddings for nearly a century. 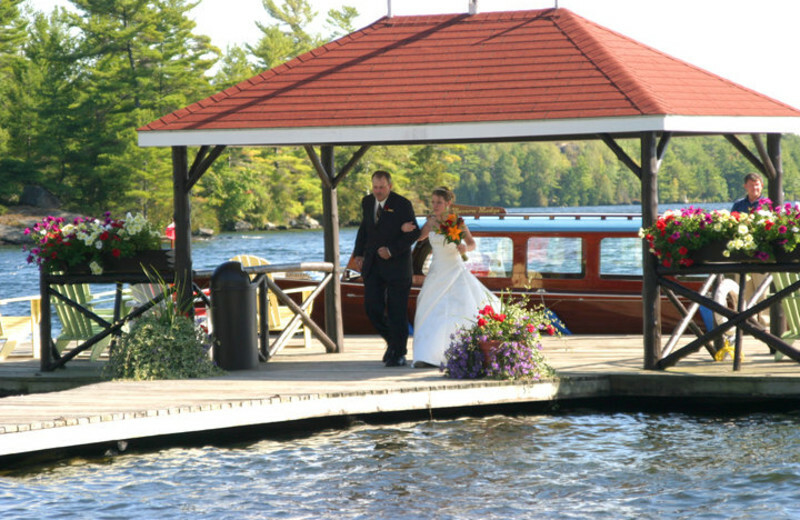 Their beautiful setting is sure to enchant all your guests, while their professional staff is ready to assist in making your dream celebration at reality. Looking to get out into nature on your vacation? Then look no further than Severn Lodge. 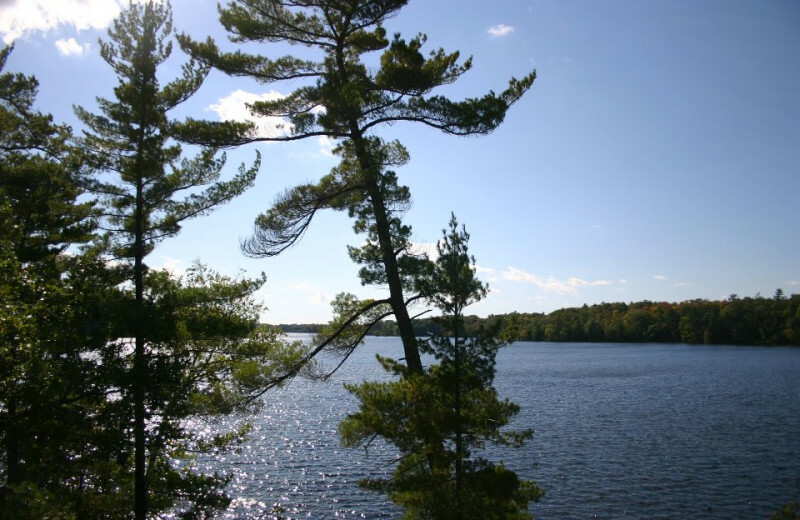 Surrounded by beautiful woods, you can explore the flora and fauna of the area in the nearby Georgian Bay Islands National Park, or visit the Wye Marsh Wildlife Centre to learn more about the area and it's natural inhabitants. 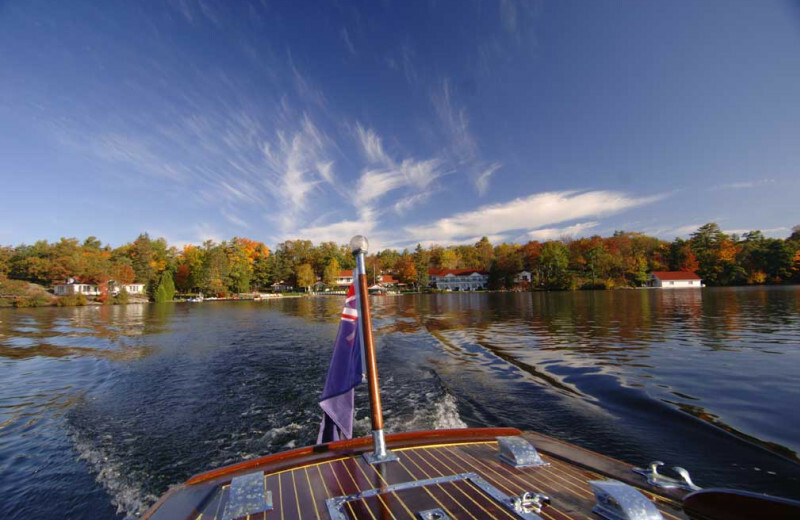 Enjoy the friendly waters of the Muskoka-Georgian Bay lake district as your drop a line in the water. 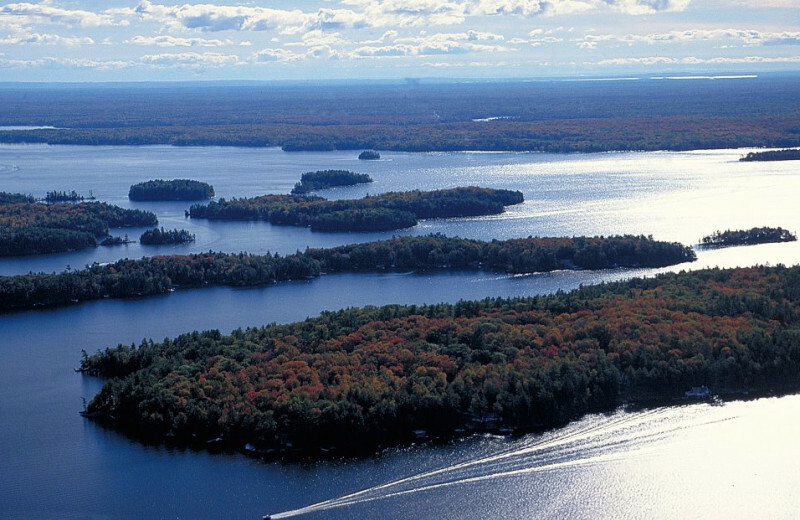 Plenty of fish species inhabit these waters including walleye, northern pike and muskie. Try to land a trophy large- or small-mouth bass, or catch a variety of panfish. 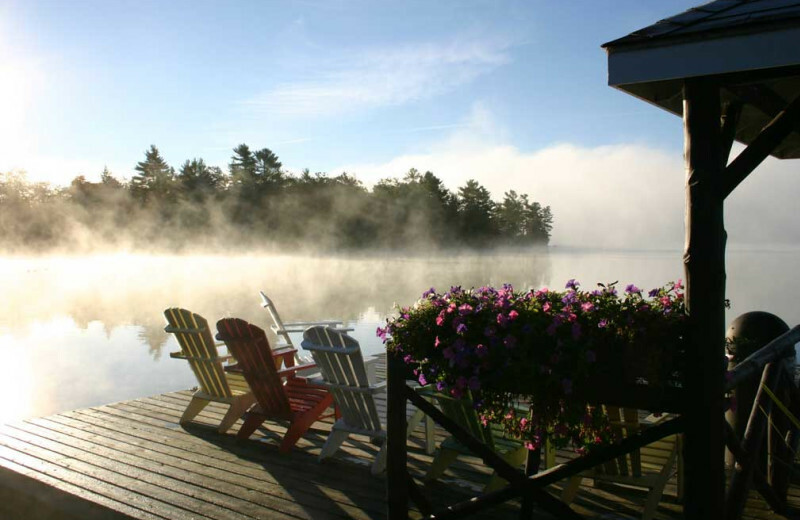 Make Severn Lodge the home base for your next Muskoka fishing trip today! 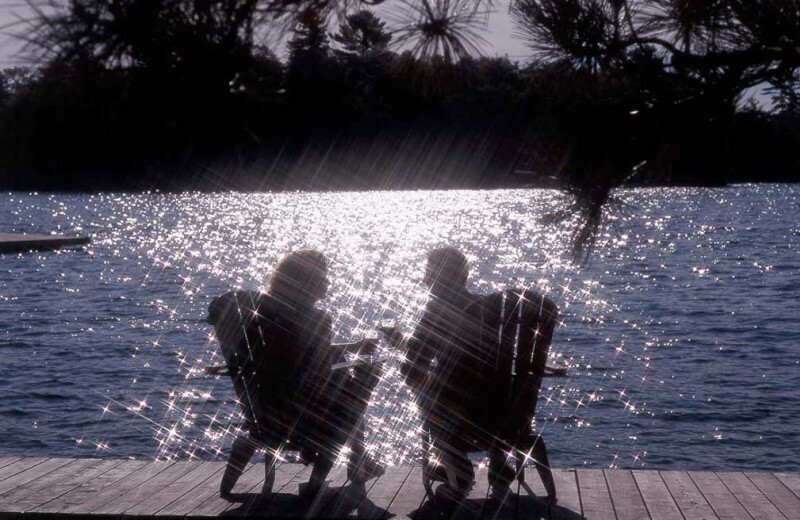 Discover an unforgettable Muskoka vacation for just the two of you at Severn Lodge. Plan a romantic visit during quieter months and order a dozen roses, a bottle of champagne and delicious chocolates for your special someone! You can hike wooded trails, canoe in sheltered coves, or soothe your muscles in the whirlpool spa. Full spa services are only minutes away! Bask in the beautiful natural surroundings of Severn Lodge. There's plenty to love in every direction. Museums and parks allow you to fully understand and appreciate the habitat of the surrounding area, and make sure to visit the nearby Wye Marsh Wildlife Centre too! 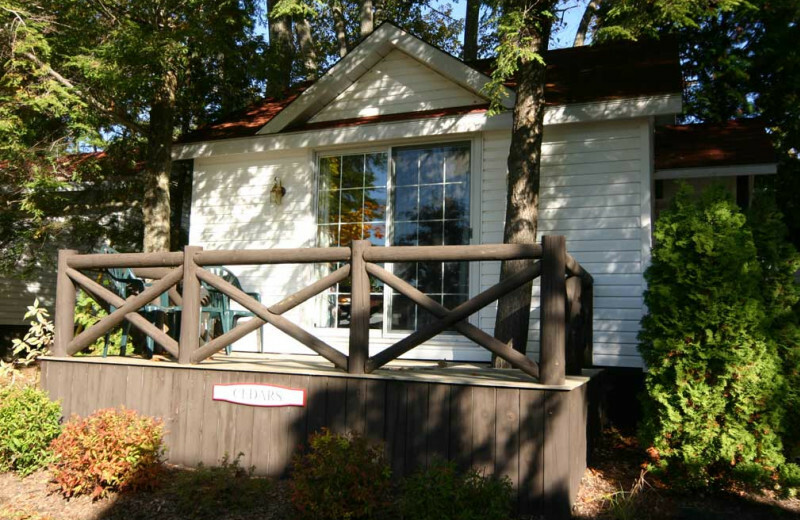 For your next luxurious vacation, head to Severn Lodge! 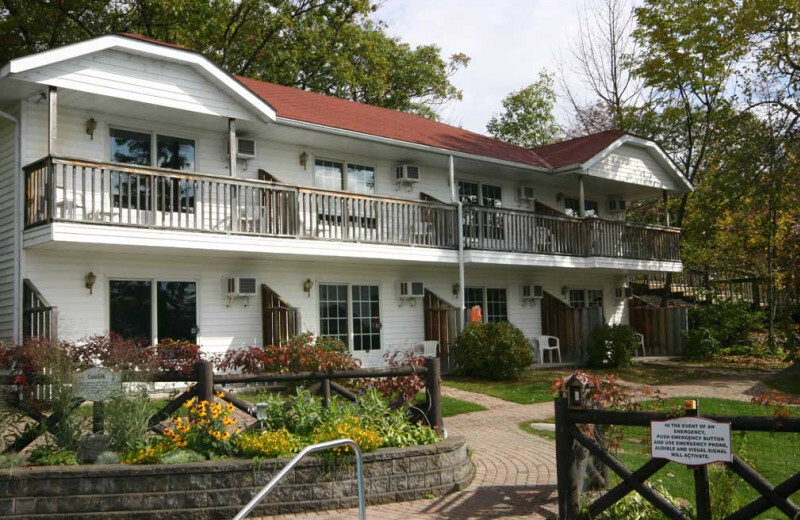 Severn Lodge has been an ideal destination for fun family trips, relaxing vacations with friends, and romantic getaways, and has been featured in "100 Best Family Resorts in North America" and "What to Do with the Kids This Summer". Treat yourself to an especially good time and book a fully inclusive package. 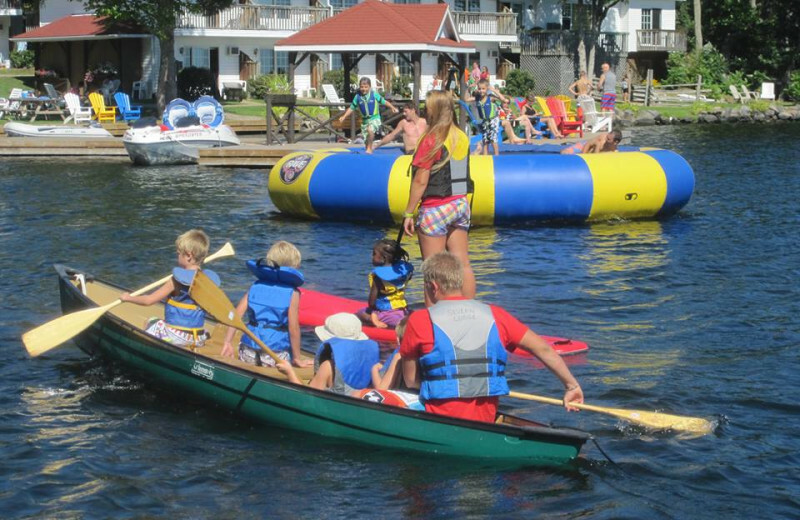 Fully inclusive packages feature deluxe waterfront accommodations, delicious meals, use of recreation facilities, and summertime supervised kids' activities & evening entertainment. There are pedal boats, canoes, kayaks, stand up paddle boards, mountain bikes, tennis, heated pool & hot tub, sandy beach & lake water swimming. 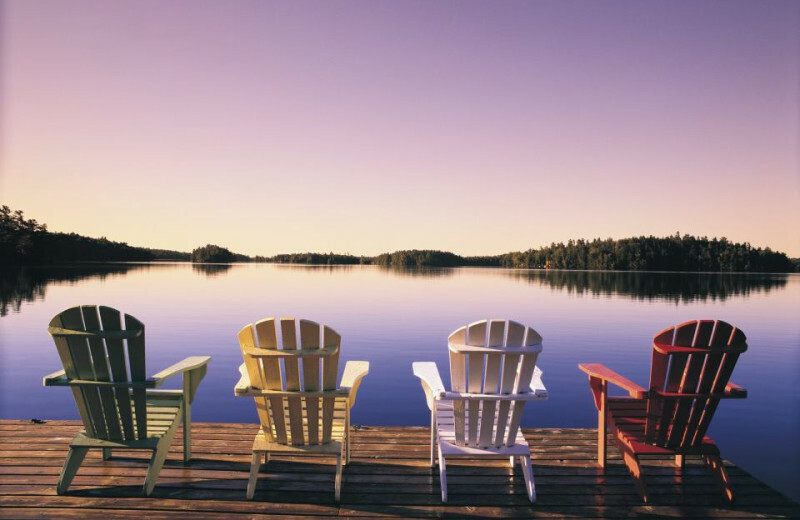 Located in the world famous Muskoka-Georgian Bay lake district, the lodge is near many sites to explore. 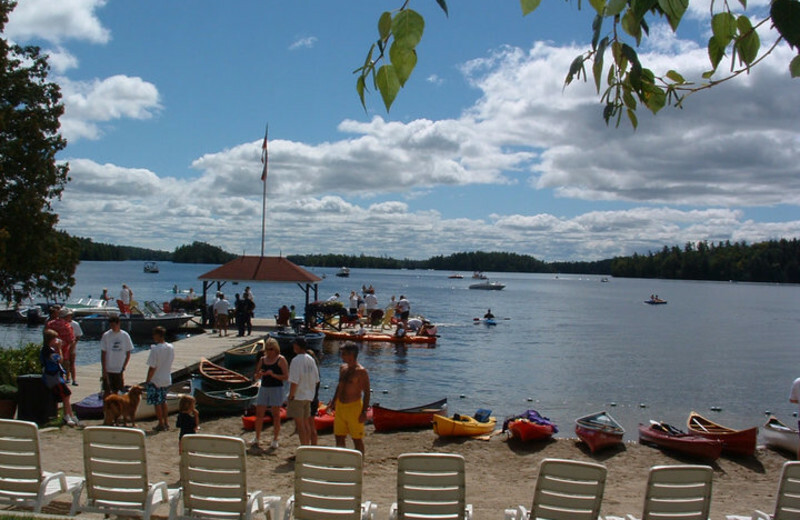 There are canoes, kayaks, pedal boats, stand up paddle-boards, and outboard boat & jet-ski rentals. 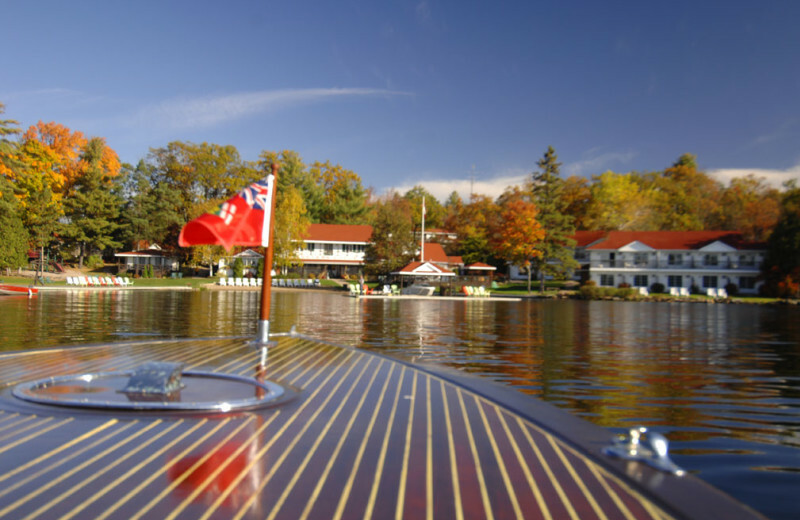 Plus take a ride on the cruise boat, try water skis or go tubing in the summer! 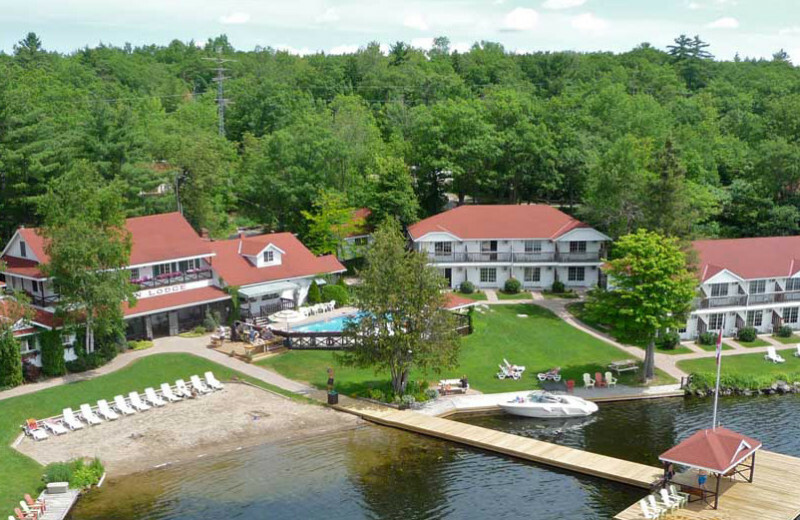 As one of the oldest resorts in Ontario, Severn Lodge preserves a classic atmosphere where family fun and lake excitement reign supreme! While historic charm and character make you feel at home, professional service and renovations keep your vacation full of modern comfort. 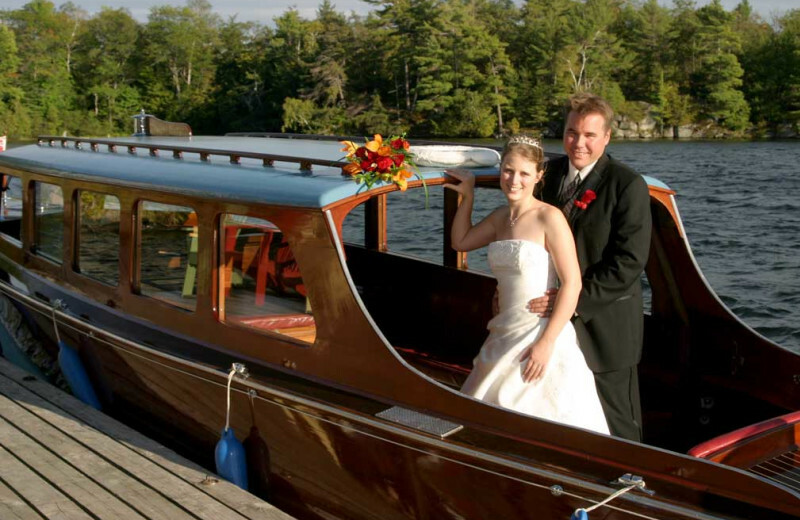 Severn Lodge has the perfect package for couples celebrating their honeymoon in Ontario. 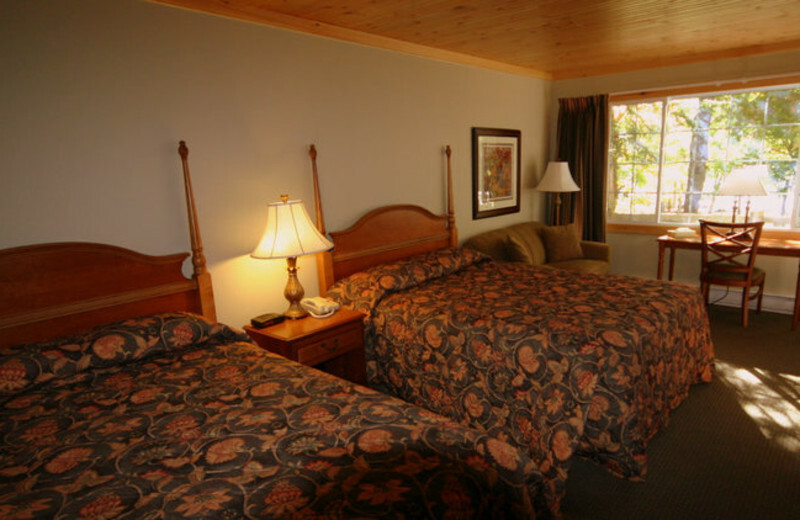 The Couples Retreat deal includes two nights in a lake view room, mouthwatering meals and use of the lodge's recreation facilities. Starting at $299, this package also features chocolates and a bottle of champagne. 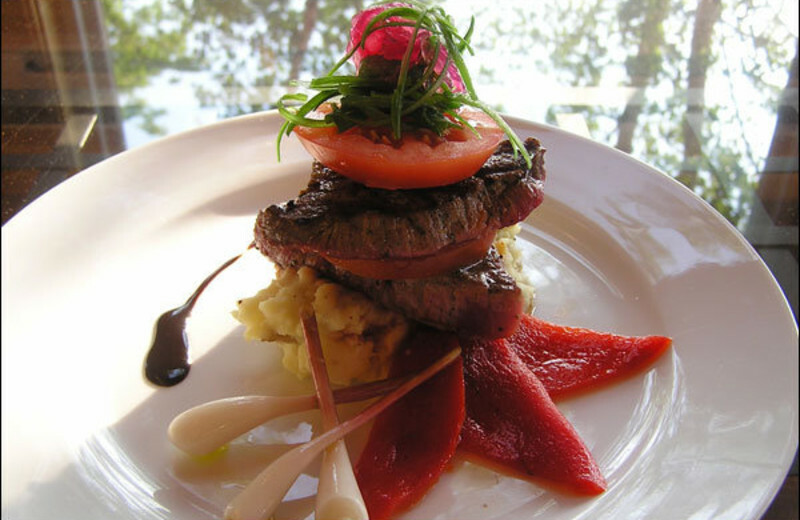 While most of their accommodations are hotel style rooms and two bedroom suites, they also offer cottages and suites where you can do your own cooking. They have all your cooking/eating utensils, sheets/towels, propane barbecues, and some have fireplaces and/or Jacuzzi bathtubs. 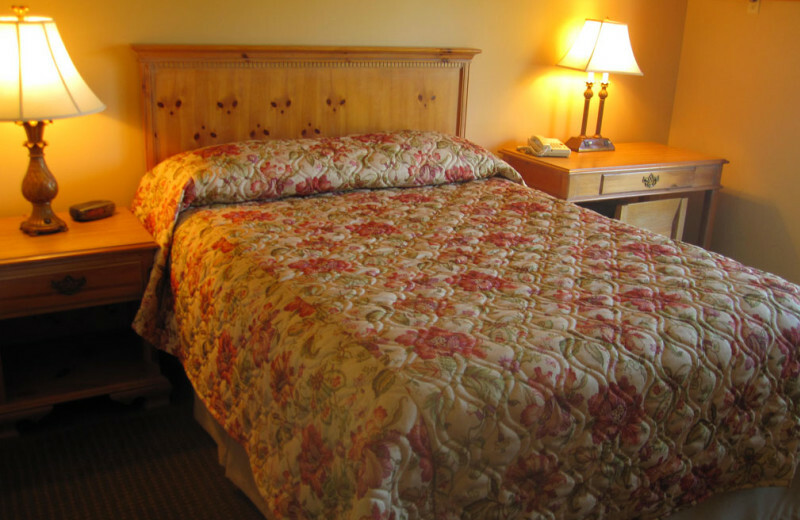 Everything you need for a comfortable getaway is right here! 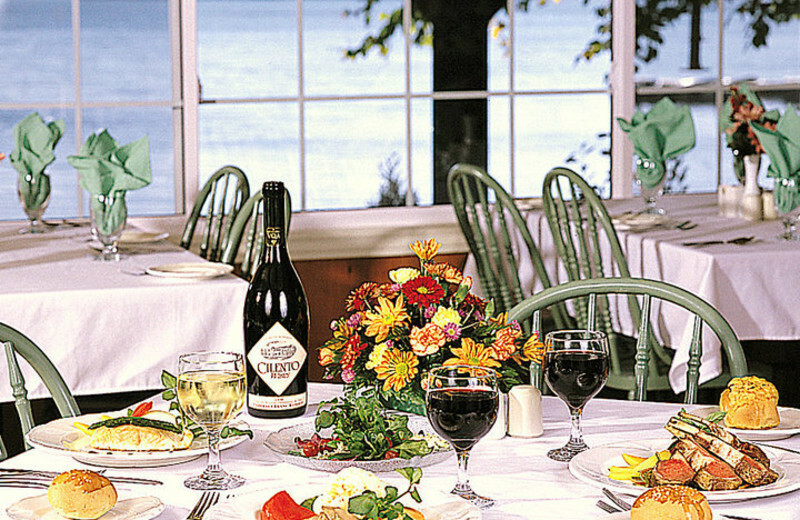 Enjoy Severn Lodge's favorite weekend of the year and spend Thanksgiving Weekend in Ontario. With pumpkin carving, apply bobbing and hay rides, there are plenty of activities the entire family will enjoy. A beach bonfire will provide the perfect end to a fun-filled day. This is everything you're looking for in a holiday retreat! 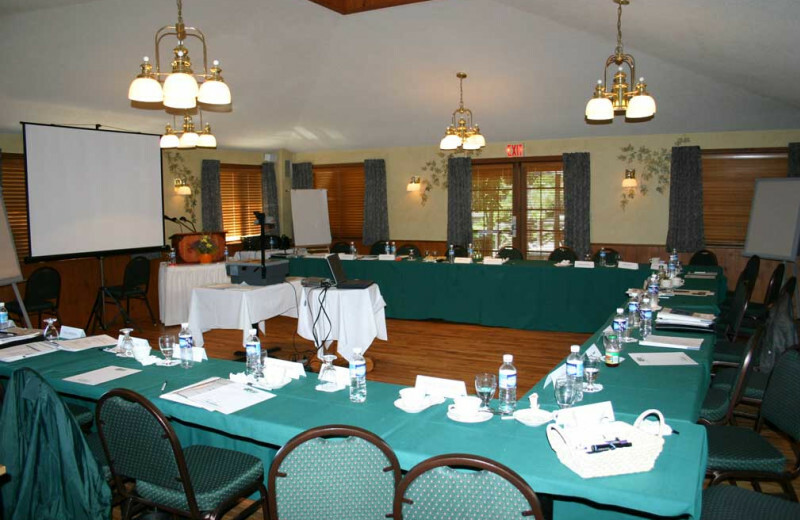 Plan your next group event at Severn Lodge. For more information please call +1 (866) 522 - 5230 or Send Inquiry. Teens up to 50% OFF! starting at $765 Summer Wind Up! 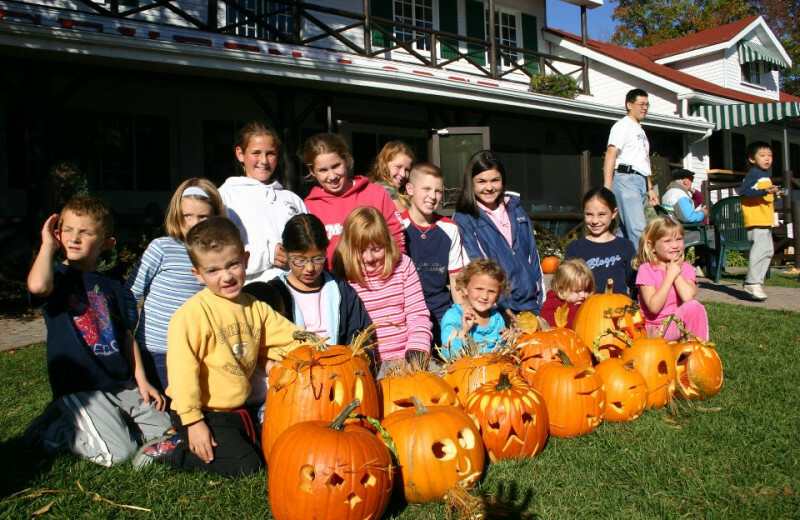 -Special seasonal family activities including pumpkin carving, hay rides, beach bonfires, cookie decorating, and more. -No Additional Service Charge or Resort Fees. 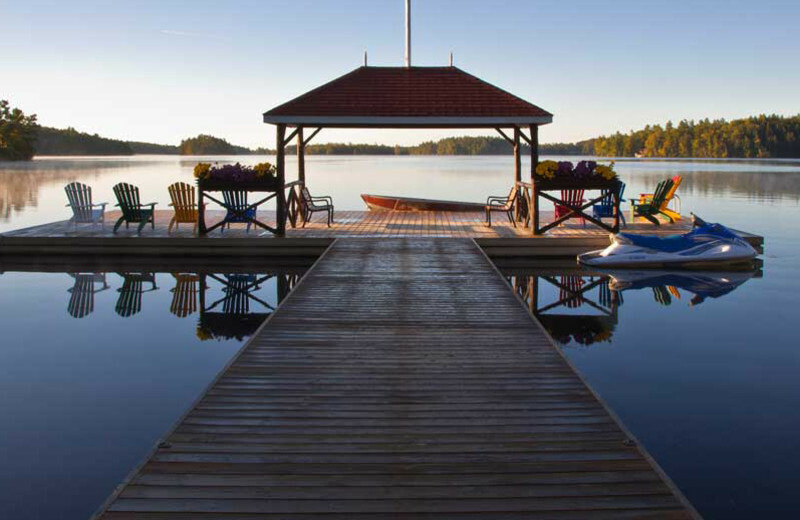 This property is ranked number 1 on Top Muskoka Family Resorts. Read about it here.